Casilando is an exciting new online casino owned by Caddell Limited N.V.. The casinos opened its doors in April 2-17 and works under a UK Gambling Commissions license. This new brand is already pretty popular because the casino rewards new accounts with 50 Free Spins. No deposit required. These spins can be played on one ..
Casilando is an exciting new online casino owned by Caddell Limited N.V.. The casinos opened its doors in April 2-17 and works under a UK Gambling Commissions license. This new brand is already pretty popular because the casino rewards new accounts with 50 Free Spins. No deposit required. These spins can be played on one of five NetEnt Slots. Besides the NetEnt slots Casilando Casino also offers games by vendors including 1X2 Gaming, Amaya, Microgaming, Thunderkick, Quickspin and Elk Studios. Because of this hours of fun and excitement are guaranteed at Casilando! Open your account today and collect 50 Free Spins on sign up. Make a first deposit and collect a 150% Welcome Bonus up to €150,-. Collect your personal bonus on this page! At Casilando you will find many great video slots. And because Casilando works with many different vendors there are a lot of different styles of games. In the gamin lobby it is possible to sort games by provider or by popularity. Because of this it is fairly easy to find your favourite games. And it is also possible to use the search option. This makes it even easier. Sign up now and play hundreds of the best video slots of this moment. The new NetEnt titles Copy Cats, Scruffy Duck and Jungle Spirit are both available. And that’s not all! At Casilando you will find many brand new games on a weekly basis. Sign up now and play your first 50 spins for free! When you sign up at Casilando today you can take 50 free spins without making a deposit. Simply click this link and navigate to the Casilando website. Fill in an username, password and continue the registration form. 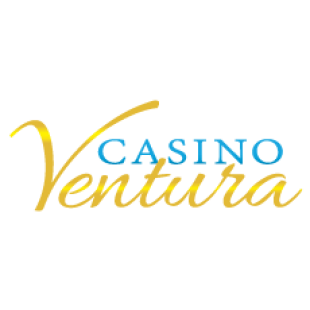 Fill in some more personal information to end finalize your personal casino account. Press the ‘’Join now’’ button when everything is ready. After that, check your email and activate your account. After clicking the activation link everything will be ready. You can now login and play your 50 free spins. At the moment you can choose to play your free spins on Starburst, Joker Pro, Pyramid: Quest for Immortality, Steam Tower or Fruit Shop. I just tried the bonus and won a total of €9,60 on the Joker Pro Video Slot. This win was mainly caused by a nice big win during the sticky wilds respins feature. I hope you guys hit some nice wins too! Have fun and good luck with your 50 Free Spins! At Casilando you will also find some classic slots. These slots look just like the games you will find in bars and restaurants. We think the Simply Wild and Random Runner games are the most popular classic slots at the moment. But in de lobby you will also find some other interesting titles including Game 2000, Club 2000, Random 2 Wild and Radom 2 Wins. Check out the lobby for a full overview of the available classic slots. In the casino you will also find multiple great Jackpot slots. Some of these games have amazing Jackpots. In the lobby you will find the NetEnt Jackpot’s including Cosmic Fortune, Divine Fortune and Arabian Nights. Besides these titles you will find multiple other well-known games including Mega Moolah, Lotsaloot, Cash Splash and Tunzamunni. The highest jackpot at the moment is the Hall of Gods Slot, with a massive jackpot of over 6 million euros. Try your luck on one of the many jackpots and try to hit a life changing win! In the casino it is also possible to play some amazing live casino games. At the moment Casilando offers games by Eguzi and Evolution Live Games. Click the live section in the horizontal menu to check out all available live games. At the moment you will be able to play Blackjack, Baccarat, Roulette, Texas Hold’em including a real live dealer. Besides that the casino offers multiple variety games including Common Draw Blackjack, Automatic Roulette and Three Card Poker. Many of these games also work fine on mobile, iPhone or tablet. And that’s not all! At Casilando you will also find other game sections including a Bingo section, Virtual games section and a Scratch Card Section. In the Bingo section you will find a few different Bingo games. The Virtual Games only include soccer games at the moment. In the scratch card section you will find around 5 to 10 scratch card games. People who like table games can also check out the section with Oasis Poker, Baccarat, Sharp Shooter and more. As mentioned before it is possible to collect 50 no deposit free spins at Casilando. But it doesn’t stop after that! At Casilando you will find a nice variety of bonuses and promotions. Below we will highlight the most popular bonuses at this cool new casino. With the current no deposit bonus you can collect 50 free spins. These spins will be available on one of five NetEnt slots. Sign up today and play your spins on Starburst, Joker Pro, Pyramid: Quest for Immortality, Steam Tower or Fruit Shop. All winnings during your free spins will be added to your bonus balance. You can use this special balance on a lot of the available games in the casino. And after wagering it 35 times it will even become real money! Which can be withdrawn from your account. Collect your 50 Free Spins here! After your first 50 Free Spins Casilando will offer you more free spins! Make a minimum deposit of €20,- and collect another 50 Free Spins on one of the five NetEnt slots. Besides that the house will award you with 150% bonus money up to €150,-. Make a deposit between €20,- and €100,- to unlock this bonus. There is no code needed to collect this offer. There is also no maximum win with your deposit bonus. And just like the no deposit bonus, you will need to wager your bonus money a total of 35 times. Sign up today and enjoy your free spins and free bonus money! The no deposit bonus and welcome bonus are one time bonuses. But Casilando likes to keep spoiling you with bonus money and free spins. For example, you get take advantage of the Thursday Getaway promotion every week! Sit back and relax and collect your personal offer! Deposit and collect a 50% deposit bonus up to €250,- every week! Besides that Casilando will throw in another 20 Free Spins on Aloha! Cluster Pays. Good luck and have fun with this great weekly bonus. Casilando also offers loyal players a loyalty bonus which includes a point system. Every 1.250 loyalty points can be exchanges for €5,-. The more point you collect, the more money you can redeem! After making your first deposit you will get 500 loyalty points right away. And besides that you will earn points for every €10,- you bet. When you play Slots or Scratch Cards you will get 2 points for every €10,- wagered. On Bingo and Video Poker games you will get 1 point per €10,-. Blackjack and Roulette will only earn you 0,25 or 0,5 points per €10,-. For more information please check the promotions tab on the Casilando website. Refer a friend at Casilando Casino and collect a €10,- money bonus for every friend that joins the casino. Simply get in touch with the Casilando customer support team quoting your username along with your friends’ names and email addresses and they will add them to your personal guest list. 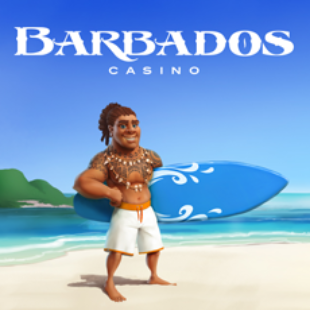 After he joins the casino the bonus money will be available in your account straight away! At Casilando you will need to wager your bonus money a total of 35 times. For example; I made a small deposit of €30,- today to test out the casino during my review. Because of the 150% welcome bonus I got a total bonus of €45,-. Because of this I will need to wager a total of €45,- x 35 = €1.575,-. After doing that, I will be able to cash out my winnings. Different game types will contribute differently to the wagering requirements. Most of the Bingo games, Slots, Virtual Games and Scratch Card Games contribute for a total of 100%. Jackpot Slots don’t contribute and Table Games only contribute for 5%. Check out the bonus terms and conditions for a full overview of the rules and the wagering requirements. Casilando is Britain’s newest licensed online casino. The casino looks very nice and the website is very user friendly. Browsing through the gaming lobby is very easy. And make a deposit or changing some account information goes very fast. This casino is all about ‘’Kings and Queens’’ and that’s how they want you to feel like. The whole website is filled with exciting graphics and new games. Besides that the design is constantly showing some of the highest jackpots and the best bonuses of the moment. Because of this it feels very exciting to log into Casilando Casino. Join the new deal and enjoy a superior gaming experience at Casilando. Casilando is now available in English, German, Finnish, Swedish and Norwegian. At Casilando you can make a deposit using one of the many convenient payment methods. The minimum deposit amount at Casilando is set at €20,-. All payments are protected with a SSL encryption which makes every payment safe. At Casilando all payment are fast and free from fees. We used Skrill to make a deposit but it is also possible to use Mastercard, VISA, Maestro, SEPA, iDeal, PaySafeCard or Neteller when coming from the Netherlands. And when you sign up using a different nationality, Casilando also offers other payment methods. For example; Germans can use SoFort and others can use GiroPay, Trustly and Dotpay. At Casilando you can best get support by contacting the live chat. The live chat is available from Monday to Sunday from 10:00 to 02:00 (CET). This is good but should be 24/7 in my opinion (gamblers won’t like to wait). Besides that chat it is also possible to send an email to support@casilando with your question. There if no phone line available. Update; Great news, From June 1 the live chat will be available 24 hours a day! We think Casilando is a very promising new casino. Below we will explain in short what our verdict is after this Casilando Review. Sign up today and collect 50 Free Spins + a 150% + 50 Spins on your first deposit. Games; At Casilando you will find an interesting variety of casino games. We think this casino offers something for everyone. Many video slots, some classic slots and a great live casino. Besides that you will find some speciality games including scratch cards and virtual games. All with all Casilando offers a nice portfolio of games. Bonuses; We think Casilando is pretty popular at the moment because of the 50 free spins no deposit bonus. And we can understand! The 50 free spins on one of five NetEnt slots is very generous. Besides that we welcome bonus is also fine. This is another great think about Casilando Casino. Support; We think support is set up fine at Casilando. Nothing special, just a good system with a live chat and email support. In our opinion it would be better when the live chat would be operated 24 hours a day. 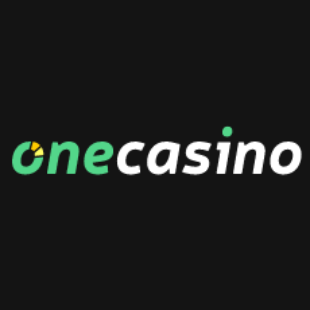 Uniqueness; We think Casilando is a cool new casino with an own identity. 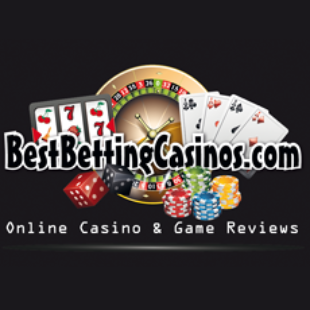 It doesn’t look like every other online casino and that’s great! Fairness & Security; The games at Casilando are proven fair by independent audits. Which makes sure all outcomes are 100% random. Besides that the whole website is protected by an 128-Bits SSL encryption. Which makes sure all information and payments are safe and secure. Ready to start playing at Casilando? Sign up today and collect 50 Free Spins on Sign up! Sign up now and collect 50 Free Spins without making a deposit. You can play your spins on one of five NetEnt Video Slots including Starburst and Joker Pro! The website of Casilando is fully optimized for mobile phones and tablets. At Casilando you can play whenever you want, wherever you are! Grab your Android or iOs device and try your favourite games on the go. Especially the NetEnt Touch games work fine on mobile devices. And the Evolution Live Casino also works great on mobiles. Collect 50 Free Spins on Sign Up! Live support through the chat. 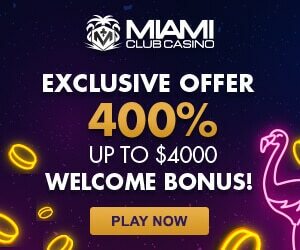 Nice 150% Welcome Bonus + 50 Free Spins. During this Casilando Review we have tried out the casino. 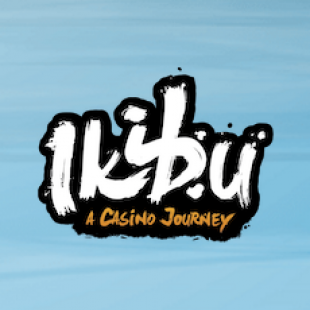 We also made a small deposit to try out the (mobile) casino and some of its games. Because of our knowledge and experience we are sure we wrote an good review. But of course we can also make mistakes. If you found any information that is untrue or outdated, please let us know by leaving an comment. Many restricted countries including the US. No 24/7 support through the live chat. At Casilando you can make a deposit using one of the many methods. At the moment these methods include Skrill, Neteller, Mastercard, Visa, iDeal, Trustly, giroPay, dotPay, Sofort and PaySafeCard. Check out the banking section for all available payments methods. After winnings some money you can withdrawal using Bank Wire Transfer, Maestro, MasterCard, Neteller, Paysafe Card, Visa or Skrill. Casilando works with an 24 – 48 hours pending time. Payment to Ewallets will happen within 24 hours. Credit Card and Bank Transfers can take up to 7 days. At Casilando you can pay our a maximum of €25.000 a week. The minimum withdrawal is set to €30,-. During your sign up you can choose one of the following currencies; Australian dollars, Canadian dollars, Euros, British pounds sterling, Norwegian kroner, New Zealand dollars, Swedish kronor or the South African Rand. Casilando operated under a license by the Curacao iGaming Authority and the UK Gambling Commission. 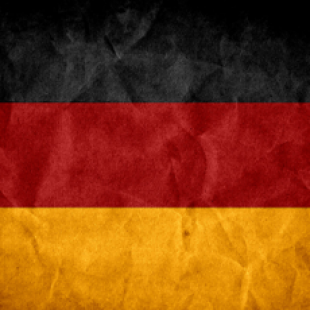 Gamblers from the following countries are restricted from playing at Casilando; Afghanistan, Algeria, American Samoa, Austria, Belgium, Bolivia, Bulgaria, Cuba, Denmark, Ecuador, France, Hungary, Israel, Italy, Latvia, Malta, Panama, Romania and Russia.